They say the 80s are back, but did the 80s ever really leave? Founded 40 years ago, Mountainsmith knows the 80s, and we know packs. So, we stepped into our neon ski bibs, pulled on our oversized sweaters, freshened up our mullets and dug through decades of old workbooks, stories, and photos to bring a truly authentic 80s design inspired by the archives that started it all. Meet the Trippin Sling. 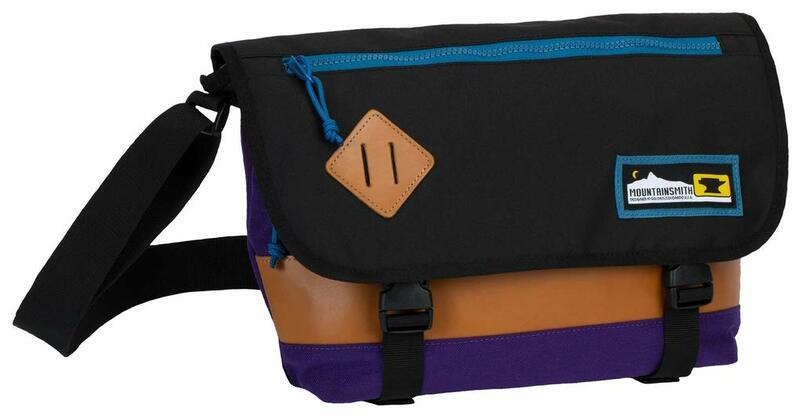 A retro take on the old school messenger bags, the Trippin Sling is ideal for everyday carry and carry-on travel. Built for tablets, the backpanel sleeve also accommodates most 13.4" laptops while the front panel zippered stash pocket and hanging organization panel keeps the essentials in place. All Mountainsmith products come with the Forged for Life Guarantee, the official Mountainsmith lifetime warranty.